Over a decade before they earned spots in Super Bowl 53, the Rams’ head coach and the Patriots’ leading receiver were college opponents. Sean McVay will become the youngest head coach in Super Bowl history when the Los Angeles Rams and New England Patriots face off on Feb. 3. The Rams coach just turned 33 — three years younger than Mike Tomlin was during Super Bowl 43. McVay is even younger than several of the players who will be competing in the Super Bowl. The oldest is Tom Brady, who has eight (and a half) years on McVay. One of Brady’s favorite targets, Julian Edelman, is a few months younger than the Rams coach, but once upon a time, the two played against each other in college. 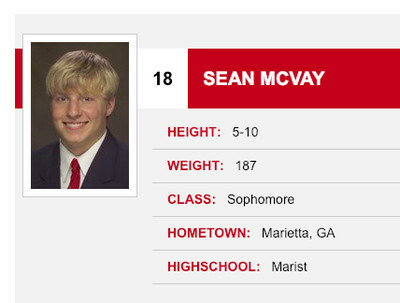 Before his climb up the coaching ranks, McVay was a wide receiver for the Miami (Ohio) RedHawks. He caught 39 receptions for 312 yards between 2005 and 2007, then took the position of assistant wide receivers coach with the Tampa Bay Buccaneers in 2008. Seven of his collegiate receptions came in two games against Kent State — a team that was quarterbacked by none other than the Patriots’ leading receiver. It was only Edelman’s third game as a starter after taking over at the beginning of his sophomore season — but it was his first win. Edelman completed 14 of his 22 passes for 244 yards with one touchdown and one interception. He also added 61 rushing yards and a rushing touchdown on 12 attempts. McVay had four receptions for 47 yards, not including a two-point conversion he caught in the third quarter to get the RedHawks back in striking range. Miami scored again with 1:04 left in the game, but a second two-point conversion failed and Kent State held on for a close victory. McVay came out on top in the next meeting with Edelman, although the future Rams head coach only caught three passes for 37 yards. The majority of those yards came on one catch across the middle of the field on Miami’s first drive of the game. Oct. 6, 2007: Miami (OH) WR Sean McVay makes a 22-yard reception on a 1st quarter touchdown drive. Edelman ended up with 260 passing yards and 93 rushing yards, but he didn’t score any touchdowns and threw two interceptions. 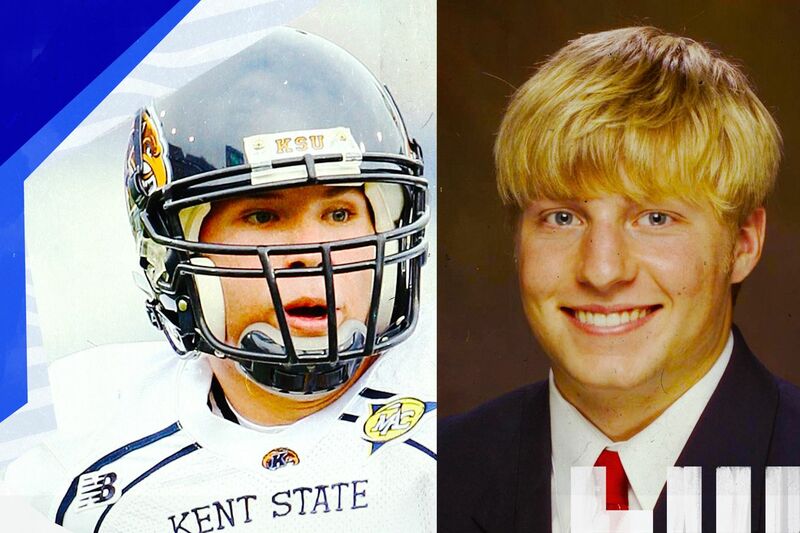 He finished his Kent State career with 30 touchdown passes and 31 interceptions. Where he really excelled was as a runner, racking up 1,370 rushing yards and 13 touchdowns in his senior year alone. That made him a perfect candidate for a position switch in the NFL — and you could say it’s worked out. Edelman has 5,390 career receiving yards in the regular season, and he’s second only to Jerry Rice in postseason receptions. McVay’s transition from undersized wide receiver to NFL coach served him well too. He won the AP Coach of the Year Award in his first season leading the Rams, and he has the team in the Super Bowl in his second season. Now the two are set to meet again in completely different circumstances — unless Bill Belichick decides to get tricky. Edelman’s quarterback skills haven’t been used too often in the NFL, though he did throw a touchdown in a playoff game four years ago. It’s no surprise that recall master McVay remembers his first encounters with Edelman. Although Edelman doesn’t remember playing against McVay, he said he’s impressed with what the Rams coach has accomplished at a young age. It’s safe to say neither will forget their third meeting, more than a decade later on football’s biggest stage.